Between the nearly impossible to break into and often predictable world of big publishing houses and the danger and unpredictability to both readers and writers of self-publishing, there is another option. Small presses. These companies are opening up new opportunities for both writers and readers. I've had the pleasure of serving as an acquisitions editor for a small publisher called WhiteFire Publishing for the past three years. WhiteFire began with a goal to reach under served markets. We wanted to be an outlet for books that were beautifully written but hard to sell. We also wanted books that were more realistic than some of the Christian publishers were looking for. At the same time, we wanted our books to have a deep sort of spirituality. We favored big books that crossed genres and offered a little something extra and exciting. Finally, instead of focusing on a middle aged audience as so many bigger Christian publishers do, we wanted books that would speak to all ages and that would draw a younger fan base who could grow with us. I think more than anything else, these quotes from our authors express what we're all about. Christine Lindsay had this to say, "I appreciate WhiteFire's desire to show the Christian faith in stories that will hopefully touch the hearts of those who are seeking." 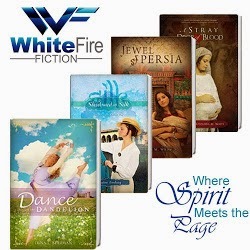 Susie Finkbeiner said, "They took a risk on me...they mentored, encouraged, and taught me so much about being a novelist...WhiteFire is a community of writers and readers with a deep passion for spirit filled literature." Normandie Fischer added, "I feel so privileged to be published by a company with heart, run by folk who care, and who show it by walking out their faith in matters of business and prayer." June Foster said, "I'd like to commend WhiteFire for living up to their logo - Where Spirit Meets the Page. "And April McGowan said, "As a first time novelist, I didn't know what to expect...but, you all put me at ease immediately with your sense of humor and encouragement." And I'll wrap it up with this one from Golden Keyes Parsons, "I love the feeling of worth and value that WhiteFire gives to the individual author." We started with just one book in 2009, then three in 2011. 2012 was a slow year as we got our systems in place, looked for quality submissions, and hired a nonfiction editor. But in 2013 we really took off, adding contemporary and nonfiction to our line, and 2014 is off to a strong start as well. So I'd like to give you a quick overview of what WhiteFire has to offer. Keep in mind as you scroll through, that all of these are available as ebooks for under $3.99. They are also available in print if you prefer. Find them online at amazon.com or barnesandnoble.com. A Stray Drop of Blood by Roseanna White - Set in the days of Jesus, this edgy book full of drama, romance, and spiritual insight is Biblical fiction at its finest. Jewel of Persia by Roseanna White - More awesome Biblical fiction, this time featuring a fictional wife in Xerxes court during the time of Esther. Walks Alone by Sandi Rog - An American set historical romance with a hunky Indian hero who you are sure to fall in love with. Trapped by Golden Keyes Parsons - The first in a series of Biblical novellas featuring nameless women of the Bible. Alone and Broken - More Biblical novellas by Golden Keyes Parsons. The Good Girl by Christy Barrit - A really fun romantic suspense novel by this well-loved, multi-award winning author, featuring edgy characters and maybe even a ghost! Paint Chips by Susie Finkbiener - Deep women's fiction dealing with abuse and human trafficking yet full to the brim with humor, grace, light, and hope. Jasmine by April McGowan - Romantic women's fiction that also takes a look at the harsher realities of life while offering hope and healing along the way. Sailing out of Darkness by Normandie Fischer - Another romantic women's fiction featuring nautical themes, Italian settings, and a cool supernatural element. 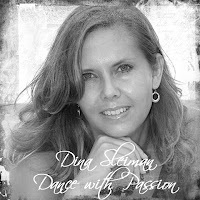 Dance from Deep Within by Dina Sleiman - Yet more romantic women's fiction featuring a Muslim heroine, a bi-racial hippie, and a blonde ballerina who join forces to face life's challenges. Catching up with Daylight by Gail Kittleson - An artistic memoir full of spiritual insights and God's light. Listening Prayer by Joanne Hillman - Learn to listen to God's voice and tap into the power of journaling. Mountains, Madness, & Miracles by Lauralee Bliss - Join this popular CBA romance author as she takes a 4,000 mile journey along the Appalachian Trail and straight into the heart of God. What's in store for 2014? At least another ten or so books for sure. Although the schedule is not completely set for the second half of the year, let me share a few books I'm really excited about. Ryan's Father by June Foster is a unique romance featuring a hero struggling with homosexual tendencies. It is a brave book and a worthwhile read for sure. Soul Painter by Cara Luecht is a gothic historical of the highest rank. Cara is a debut author to watch out for. I expect great things from her. No Plan B is a nonfiction offering by our first male author, Nelson Hannah. More books are coming from Susie and April, plus sequels from Christy, Roseanna, Christine, Golden, and me. Have you read any WhiteFire novels? What are some of your favorite publishing houses, or do you pay attention to publishers at all? Gee, I've read a few. ;-) No picking favorites for me though, LOL. So glad to have Suzie J on our list now! And ironically, my scheduled-two-weeks-ago blog post for today is a step-by-step of how I designed Suzie's cover for Sweet Mountain Music. =) I don't like to link to my own blog in comments to another most of the time, but I think it's rather fun here! I am so honored to now be associated with such a fine company. Since their beginning, with Roseanna's Stray Drop of Blood, and your Dandilion, Dina, I hoped to one day be published by them. 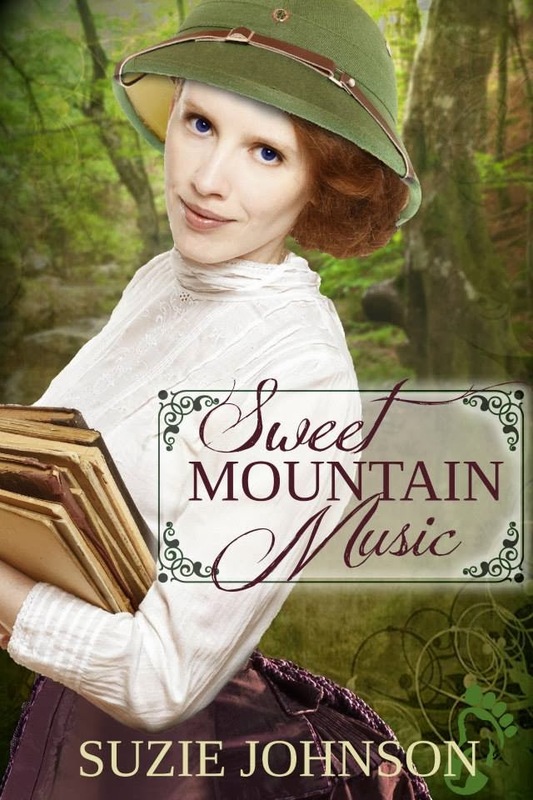 Thank you for mentioning Sweet Mountain Music, Dina. It is a book that is so close to my heart. It was my third submission to them, and I sure hope it won't be my last. I pray great things for WhiteFire, not because of my book, but because they've managed to blend their professionalism, love of fine books, and their heart for the Lord. And I *love* my cover! Thank you for mentioning me and sharing the cover, Dina! And thank you for mentioning me a sharing your blog post, Rosanna! I had a friend whose tag line was "Hats off to romance." I'd like to say, "Hats off to WhiteFire!" Roseanna, I peeked at your article this morning. It was really fun. Roseanna's biblicals first caught my attention and brought me to WhiteFire. Her stories are rich and deep, full of history and raw passion, and they made me want to know more about a company brave enough to publish them. On top of all of that, she's an incredible designer of gorgeous covers! What a neat post, Dina! So fun to read about all of the WhiteFire authors together and see what a quality group of authors we have. Normandie, A Stray Drop of Blood is one of my all time favorites. It caught my attention too. I didn't get involved until early 2011, so that was the only one that was before my time. Golden, I love our behind the scenes author email loop. I think that is pretty unique. I'm going to share this post on Facebook and Twitter. Excellent job, Dina. It is my prayer that WhiteFire gets the notice it deserves so much. These books truly are beautiful written with deep spiritual truth, and yet sweep you away with fantastic stories. I also love how WhiteFire authors write transparently and honestly about situations. They aren't afraid to face big questions or deal with real heart issues. This is a wonderful place to be! Thanks for the mention in your ariticle. I am excited about being a part of the WhiteFire family and looking forward to the debut of No Plan B. Isn't it amazing how God can use a 15 minute appointment and a prayer to change and determine destiny? April, I think our books really are something special, not that I'm biased or anything. Nelson, I'll always remember that appointment. I was so blessed that you asked to pray for me and then prayed by the leading of the spirit. It meant a lot to me. Thanks for this post, Dina. Good to see the quality and variety of WhiteFire Publishing. I really hope this small press succeeds. This is a great recap and reminder of the growth. Congrats to the whole team! I have a few I have to read yet and I'm excited about Suzie's! Roseanna did such a great job! Me too, Anita! I love the books WhiteFire publishers so much. Deb, Suzie's story is every bit as fun as the cover.